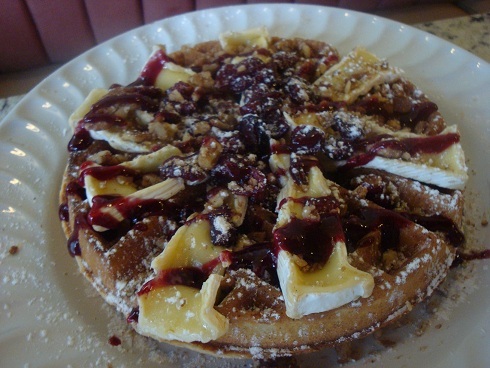 waffles | Ashlie's Cancun Blog and other stuff! Belgian Waffle Boutique is ‘da bomb’! Well, here we go again with another restaurant review. 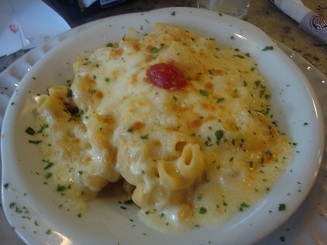 I really think that I missed my calling as a restaurant critic since lately several of my blogs all seem to be food orientated or maybe it is just because the weather has been cloudier and wetter than usual so eating has become our main form of entertainment. In any event tonight’s blog is about this great little restaurant at El Malecon Plaza. 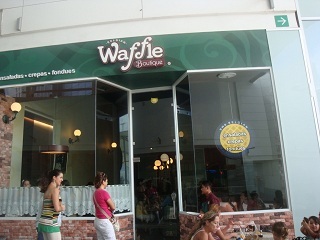 I had recently discovered it on one of my trips to the plaza and when I saw the word ‘waffle’ boldly displayed in their sign I was beside myself with excitement since I LOVE waffles and I have yet to stumble upon a place in Cancun that serves waffles. 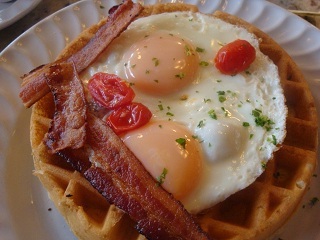 Sure there are lots of restaurants that serve pancakes but like any true waffle connoisseur already knows pancakes and waffles are NOT interchangeable just because they are both made using batter.It would be like comparing sandwiches with paninis, need I say more? So armed with the knowledge that there was finally a place in Cancun that served waffles and not just any ole place that had the odd waffle on their menu but an entire restaurant dedicated to the much sought after waffle, hubby and I picked a Sunday morning to try them out. We arrived at 8:30am and the place was packed! I have mentioned before that I like buzz in a restaurant but dare I say that there was almost too much buzz for me. Great for the owners but there were kids everywhere.Now don’s get me wrong I like kids, I was one many years ago, but generally I just like my friend’s kids, kids related to me, and one day I am sure I will “like” mine too.We found a comfortable nook to hide in and I ordered a hot cup of javva and hubby some juice. The menus came and thus began one of my favourite pastimes…perusing a new menu. I finally decided to try one of their savoury waffles even though I had come with the intention of ordering one of my favourites …waffles smothered in fruit (primarily berries).I chose a waffle with 2 sunny side- up eggs, bacon and roasted tomatoes on top and hubby chose a waffle made with cornmeal (a creative idea on the chef’s part) topped with 2 fried eggs smothered in red sauce and cheese. They arrived nice and hot and were devoured in no time. I added a drop of maple syrup to mine as there is nothing quite like the taste of salty bacon combined with a touch of sweet thick maple syrup. Hubby made a “face” at first but after trying mine he was won over. Before we left the owner came over to our table to check on us (very unusual in Cancun but much appreciated) and I learnt that Mary Carmen, though Mexican, grew up in Toronto and that her husband was the chef. 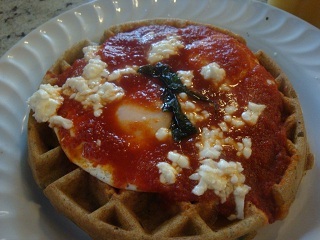 She had been inspired by similar restaurants in Canada and plans to develop Belgian Waffle Boutique into a franchise. I wish her and her husband all the best in their business venture. We continued chatting as she saw us to the door and I chuckled when I saw the oversized whisk being used as the door handle which added to the quaint style of decoration that they had chosen for the interior of the restaurant. We promised to return again soon which I did tonight but this time with a girlfriend.